TATA Company Information Is this your company? Add your own content to this page. 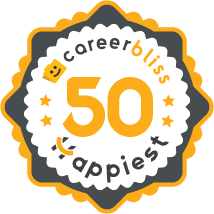 We've calculated that the average salary at TATA is $61K based on 1,761 user-submitted salaries A total of 571 TATA employees gave TATA an average happiness rating of 3.9 out of 5.0. 188 Assistant Systems Engineers from TATA submitted salaries. 2.5 I'm giving this company two stars instead of zero because the pay is great. That is where the good ends. I've never seen a company run so horribly in my life. I make six figures and I am still considering leaving because of how terrible the company's management is. The website is entirely self-service and barely functions (all this time and I still have no access to even my company email - that's truly amazing considering they're a tech company!) They've repeatedly messed up my insurance and pay. I have no concept of the company's organizational structure. I get random calls from people who claim to work in HR, but apparently they have their calls forwarded from their personal cell phones, so I can't call back the number and reach a person - it goes to some generic bucket voicemail for everyone there. I've lost several project positions because the internal staff have no idea what they're doing - they delay and delay, I'm guessing because they're unsure what to do, while I sit and wait to be assigned to a project (you'd think sitting around getting paid as much as I do would be great, but as someone who really believes in performance and lean management and is really motivated in business management, it's terrible - all I see is the company hemorrhaging money and wondering how many others are also going through this) and by the time they get back around to me, they say another resource filled the role. We're talking waiting periods of months at a time. The HR staff is constantly jumping ship. Once you learn a name, that person isn't there very long. I think the worst part - other than feeling like a complete outsider with no way to contribute to the success of my company - is never being able to count on my income. Do I quit? Will I just be randomly fired one day? Who knows. It's very hard to make any plans. 3.3 I have been working in Tata Consultancy Services over 8 years now. The company policies are awesome. Had it not been threat to my career growth, this has been my longest tenure in all places where I have worked. I always changed in past when there was faintest clue of jeopardy, to career growth. Feeling the options getting lesser by the day, to choose from then doing where I am at my productive best, is a very sound reason for me why I am looking for a change from this great company. 2.5 This company has given me some of the astounding experiences of career life. My career dynamics changed since I joined this company. This has been one of my longest tenures in an organization till date after passing my bachelors. The kind of love-hate relationship with the org totals to my loyalty, urge for more growth and sticking to the best process and capability. J.R.D. Tata envisioned a business model that would in turn become the largest IT service provider in Asia today. When Tata Consultancy Services was formed, the initial idea was to provide computer related services for other organizations that did not want to invest in technology but desired to utilize these resources to complete their business functions. The first customers were located in India and included punch card processing and creating a software application for the Central Bank of India. Another early project was to outsourcing for routine business processing for the Unit Trust of India. These humble beginnings lead to the creation of India’s first research center for software development. This has helped shaped India’s economy, resulting in many people interested in obtaining Tata Consultancy Services careers. The corporation has assisted many entry level computer technicians gain the needed skills to succeed in their profession as well as provided continued employment opportunities for seasoned veterans. In fact, working at Tata operates under the design of helping people achieve specific goals within their career. The environment is perfect for someone to experience cutting-edge technology and learn the facets of the IT industry that holds the most personal appeal. When a new individual embarks upon the next level of their career, the Tata Consultancy culture is a huge incentive. The mission of the organization is that a professional’s growth is only limited by their potential. With the opportunity to work on projects around the globe and experience first-hand how learned skills can solve critical business needs, each individual becomes a valuable asset within their field. The company allows professionals the flexibility needed to find a busy and rewarding career with an equally busy lifestyle. This balance helps each employee to excel beyond their expectations. Beyond the ability to fashion a career around personal needs, Tata Consultancy benefits provide the added incentives that make this an attractive career option. With an open door policy, all perspectives are allowed to play a significant role and make a contribution. Mentoring and on-the-job training polish existing skills and put talents to their best use. The company prefers to think of themselves as a global family and strives to include the community into the work environment. Employees are supported in their efforts to increase social responsibility and engage in programs that promote a healthy lifestyle for all people.